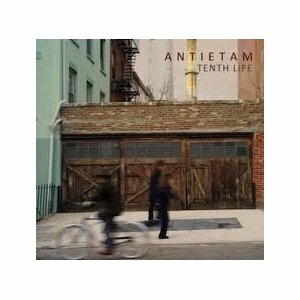 This time out, after cleaning out the cupboards and displaying more sides of Antietam on Opus Mixtum than the Hope Diamond has facets , and after we, quite simply ROCKED it on Tenth Life, we have decided to let the world peek in our creative window. This is a look at how we go about making a record, song by song, through its precocious baby steps, gangly teenage years, white swan rebirths, idle doodles that lead from square one to square nineteen or nowhere but there–and, in the case of some songs, ignominious banishment. Maybe we’ll ask for you to help name the baby! We have set up a presence on Soundcloud at: http://soundcloud.com/antietamlabs/tracks. Practice tapes, in-progress jams, guest star appearances and a map to the general inner workings of the clock as we prepare to release new music in the next year or so. Some of it will be played once and never again. Some of it will have new lyrics by the time it’s on a record (whatever the hell that will mean in the near future…). Some of it will feature guests that may or may not appear on an “official” version. We will try to put something up every couple of weeks. Subscribe and don’t miss a beat!